It’s been a turbulent time for Limerick as they gear up for their Munster championship opener against Tipperary. Donal O'Grady insists Limerick won't be using the recent controversy as 'an excuse'. 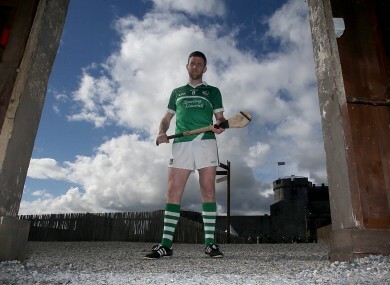 LIMERICK HURLING CAPTAIN Donal O’Grady has revealed that he spoke to his namesake Donal O’Grady following the latter’s departure as joint-manager last month, but knew he would not be able to convince him to do a u-turn on his decision. Cork’s 2004 All-Ireland winning boss parted ways with Limerick in controversial circumstances last month and was contacted afterwards by the team captain. “I spoke directly with Donal on Monday and he told me his reasons. I just said to him we respect him enough to know that we’re not going to change his mind by calling his phone 10 times. O’Grady admits that Limerick’s inability to deal with contentious issues ‘in house’ is disappointing. “Most counties have these issues and they’re kept in house. In Limerick it takes over and it goes national and everybody goes, ‘Ah, that’s Limerick off again’. But he stresses the players have not let it disturb their preparations three weeks out from their Munster championship opener as they were powerless to influence the outcome. “It didn’t involve us. From the players’ point of view as disappointed as we were with what happened, we’re there to hurl. We just made a decision without having a meeting, just a quick word – ‘look lads let the powers-that-be sort it out’. Unfortunately, it wasn’t sorted. O’Grady refuses to believe that it will be an excuse for how they fare against Tipperary in Semple Stadium on June 1st and reckons it can ‘unite’ the squad. “I can categorically say now it won’t be an excuse. I think we’ve learned an awful lot from Donal O’Grady up to now. I presume it will raise its head in county board meetings before the year is out but, again, it’s nothing to do with us. Limerick enter the match on the back of a disappointing spring campaign that saw them fall short in their quest to gain promotion from Division 1B. O’Grady hopes they can harness the good vibes from last year’s triumphant summer that saw them lift the Munster crown. “From the players’ point of view, again we were very disappointed not to get out of 1B. The question marks are there whether we’re up to the pace of playing that Tipperary team. Email “Donal O'Grady: 'It goes national and everybody goes, 'Ah, that's Limerick off again'”. Feedback on “Donal O'Grady: 'It goes national and everybody goes, 'Ah, that's Limerick off again'”.